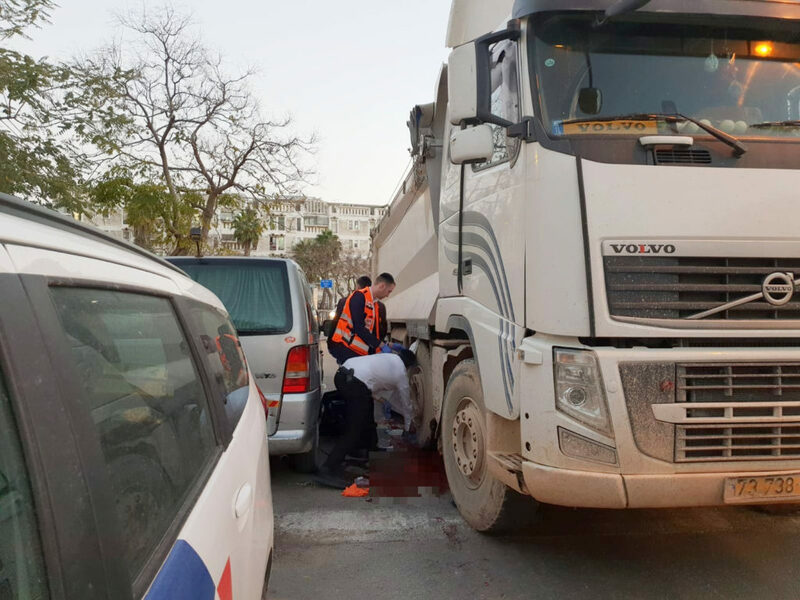 On a recent Sunday afternoon, a 70-year-old woman was crossing the street in Jerusalem when she was struck and run over by a massive truck, severely injuring her legs. Horrified witnesses quickly called for help. Nati Osteri, a volunteer United Hatzalah EMT, was visiting a friend just down the street when the urgent call came in on his United Hatzalah communication device. Without so much as a word to his friend, the dedicated volunteer bolted out the door, leaped onto his ambucycle and raced down the street, arriving in under 60 seconds. The experienced EMT immediately saw that the heavy bleeding from both the woman’s legs could prove fatal if not stopped quickly. Nati rapidly removed a CAT (combat application tourniquet) from his medical bag and stopped the arterial bleeding in one leg. He then used a standard tourniquet to stop the bleeding in the second leg. In just over a minute, Nati had literally saved this woman’s life. A United Hatzalah ambulance crew arrived and helped stabilize the woman’s condition before she was quickly evacuated to the nearest trauma unit. “In our field of work, seconds count,” Nati said. “Today’s scenario was just one such example where had I arrived a few moments later, the patient would have been dead and there would have been no patient to save. The location technology, as well as the training and equipment I received from United Hatzalah, very much saved this woman’s life today. I am happy to have been able to be there for her and thankful that I was able to help her,” he added. Nati Osteri is just one of 5,000 volunteers from United Hatzalah who respond to over 1,100 calls per day and save countless lives in Israel. 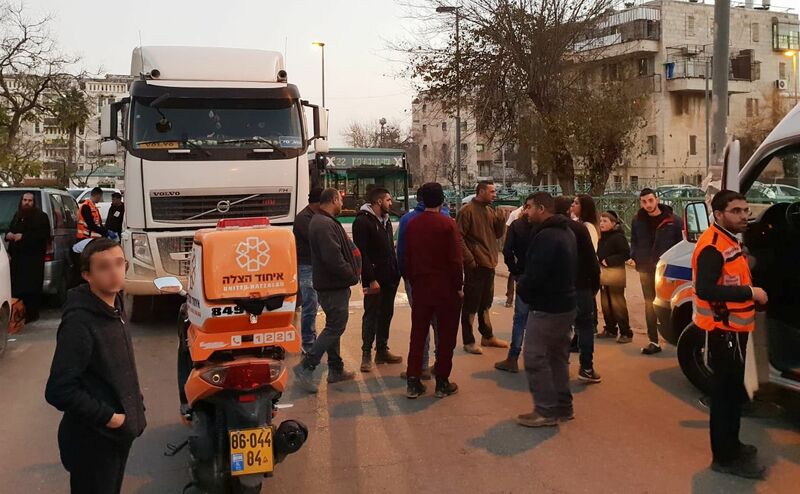 The fact that the volunteers are going about their daily lives and drop everything to save the lives of those who are in their near proximity, makes Israel a safer place for all citizens. This entry was posted in Uncategorized and tagged Accident, EMS, EMT, Health, Israel, Jerusalem, life, lifesaver, Rescue, United Hatzalah, Volunteer. Bookmark the permalink.